The Toyota RAV4 has been a favorite of drivers in Columbus and throughout the country since its introduction many years ago. Its styling has become iconic for the way it blends fashion-conscious looks with aggressive details that hint at the exhilarating performance of this leading small SUV. The Toyota RAV4 is not just stylish, it is also well-equipped. The new Toyota RAV4 includes standard tinted windows that maintain the privacy of its occupants, while the 2019 Honda CR-V does not. The 2019 Toyota RAV4 features a standard rear spoiler that gives it a sporty look and enhances the vehicle's aerodynamics for sharper handling. The Toyota RAV4 even offers optional running boards that make getting in and out of the SUV that much more convenient. Come and see the stylish 2019 Toyota RAV4 at the Rivertown Toyota dealership. Take your test drive today. The new Toyota RAV4 spices up even the most routine errands with its exciting performance. The ample power and sharp handling characteristics result in a highly entertaining driving experience. In contrast, competitors like the Honda CR-V offer driving experiences that are about as exciting as wallpaper paste. heart of the 2019 Toyota RAV4's performance is the standard 2.5L Dynamic Force 4-cylinder engine, which kicks out a muscular 203 horsepower. The 4-cylinder engine in the Honda CR-V makes just 184 horsepower. The powertrain in the new Toyota RAV4 is completed by the standard 8-speed automatic transmission, which is partially responsible for the Toyota RAV4's superior fuel economy. The Toyota RAV4 comes equipped with a stable front-wheel-drive system, while a highly capable all-wheel-drive system is optional. Take the Toyota RAV4 out for a test drive today. 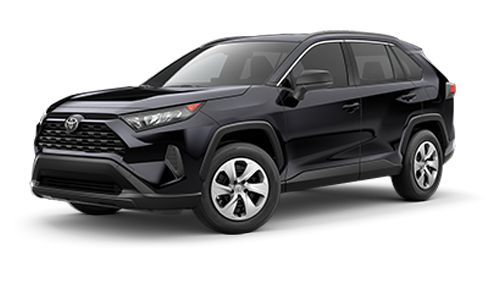 If you've been looking through Columbus, GA car dealerships for a fun family SUV, look no further than Rivertown Toyota. Toyota's current lineup is known for offering impressive levels of occupant protection. Many Toyota vehicles are safety leaders in their respective classes, and the Toyota RAV4 is no exception. Like all Toyota models, it's cleverly engineered and constructed to withstand the extreme forces of an accident. The airbag setup in the new Toyota RAV4 protects the passengers in the rear just as well as the occupants in the front. What really sets the 2019 RAV4 apart, however, is its cutting-edge safety programs. The Toyota Safety Sense™ 2.0 package of safety features is standard. 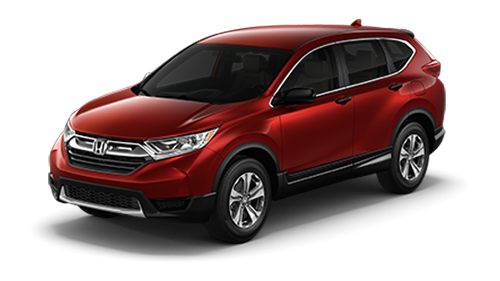 The Honda CR-V can't match up to this level of safety, as the Toyota RAV4 has standard features like Lane Departure Warning and Lane Keeping Assist that the Honda CR-V is missing. The new Toyota RAV4 also offers optional occupant protection features like the Cross-Traffic Alert and Blind Spot Monitor features, which use the same sensors. Learn more about the class-leading safety features in the Toyota RAV4. Stop by the Rivertown Toyota dealership, Columbus, GA's preferred destination for family SUVs. The interior of the 2019 Toyota RAV4 offers a highly desirable blend of comfort and practicality. A family SUV like the Toyota RAV4 will regularly have to carry parents, children, and a wide variety of cargo. The new Toyota RAV4 also offers more cargo space and passenger space than many of its competitors in the small SUV segment. The 2019 Toyota RAV4 has more headroom in the back than the Honda CR-V, making the rear seats ideal for children and adults. Speaking of the rear seats, they offer a convenient pass-through design that allows cargo space to be greatly increased in seconds. Toyota even thought of small details when designing the interior of the Toyota RAV4, as evidenced by the optional cargo shade that can protect sensitive items from the hot Georgia sun. Experience the comfort of the 2019 Toyota RAV4. Schedule your test drive at Rivertown Toyota today. The Toyota RAV4 features technology that further separates it from lesser SUVs like the Honda CR-V. The 2019 Toyota RAV4 has a standard Entune™ 3.0 infotainment system that runs most of the technology in the vehicle. The new Toyota RAV4 also includes standard Apple CarPlay™ compatibility, unlike the Honda CR-V. The Toyota RAV4 even offers an available digital rearview mirror. Get all the info on the tech in the new Toyota RAV4. Drivers in LaGrange, GA, Auburn-Opelika, AL and elsewhere in the Columbus, GA area are welcome to visit Rivertown Toyota for a test drive.